Wilton Manors Movers – Without the right team of experts, a move can become very difficult. With over fifteen years of experience helping people move in Broward County, let us make your move a smooth one. Our professionals can handle all of your moving needs. Set your mind at ease that your belongings will be delivered to their new destination in the safest and timeliest manner. Whatever you need done with your move we can help you. With all the experience under our belt, we can help you with all of your residential and business moving. We can securely pack your belongings and even move specialty items like pianos or antiques. Come get a free quote from us and see how competitive our rates are. Wilton Manors is a small city in Broward County. With only 11,000 people and 2 square miles of area it is small both in population and geographically. It was first settled during the Florida Land Boom and then incorporated in 1947. The city is notable for being separated into two different US Congressional districts. 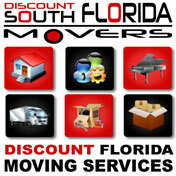 Discount South Florida and Wilton Manors movers provide low rates on residential, commercial, piano and long distance moving.